Give us a call, we are experts in Laser Printers, Ink Jet Printers, Fax Machines and Copiers offering in-shop or on-site service. 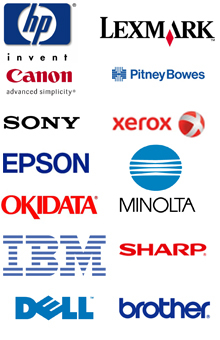 PrinterSmart’s team of friendly certified printer technicians are ready to serve you. We offer same-day repair service. With 98% availability of printer parts, our trucks are stocked and ready so we can keep you up and running. 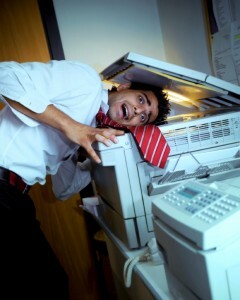 We provide printer repair service at flat rate pricing. Rather than charge you a per hour – like you probably pay for any other type of repair service, we charge a flat rate fee regardless of how long it takes to fix your equipment.